Escrow instructions are given to an entity that acts as an escrow agent for a real estate purchase and sale. The escrow agent is not allowed to act beyond what the instructions ask him or her to do. In order to make sure that the parties' intent is met, the escrow instructions should be detailed and precise. In some cases, the parties use boilerplate, but often it is important to retain an attorney to draft custom escrow instructions. 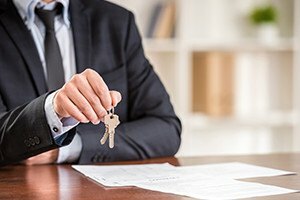 At Pulgini & Norton, our Boston real estate lawyers can help draft escrow instructions for the purchase or sale of residential property. Escrow accounts are accounts where a real estate broker deposits and maintains funds of other parties in a property transaction. The broker does not have a claim on the money. The account can be interest bearing or non-interest bearing, as set forth in the escrow instructions. The escrow instructions are created, signed, and delivered after being approved by the buyer, seller, and lender. Generally, they incorporate the terms of the purchase agreement as well as any requirements set forth by the lender. The escrow officer is supposed to process escrow by following the instructions. Before the close of escrow, a buyer will deposit the required funds with the escrow holder. Often, the instructions require the escrow holder to release the funds to the seller when the deed records and a title insurance policy has been prepared and delivered to the buyer. Once the parties meet all the conditions required, escrow is closed. Escrow instructions must identify the parties to the property transaction as well as the escrow agent that will be following the instructions. They advise the escrow agent on the terms of the agreement between the buyer and the seller, how to hold the funds, when to disburse the funds, the time period of escrow, and other details of the transaction. The es¬crow hold¬er or agent owes a fi¬du¬ciary duty to both the buyer and the seller, and the holder must follow the express escrow instructions carefully. The holder is required to act not only honestly and ethically but also in the best interests of the clients. Under 254 CMR 3.00, which governs professional standards of practice in this area, all of the money paid to a real estate broker to be held in escrow while a transaction is pending is to be immediately deposited into a bank escrow account. It is illegal for the holder to mingle funds that are held in escrow with private funds or non-escrow accounts. The broker will be responsible for the funds in the account until the parties meet all of their obligations, as detailed in the escrow instructions, or the parties terminate the transaction. If the latter happens, the holder must make a proper accounting and distribution of the money. The broker is also required to make a record of the funds that are deposited into the escrow account. These records are to show the date and from whom money was received, the date it was deposited, the course of the money, the date of withdrawal, and other relevant information about the transaction. The records are to show exactly for whose benefit the funds are deposited and to whom the funds belong. Our experienced Boston real estate attorneys can develop escrow instructions and counsel you on other aspects of a purchase or sale. We also represent people in Braintree, Andover, and Cambridge, among other Massachusetts cities. Contact Pulgini & Norton at 781-843-2200 or through our online form for a free consultation with a property transaction attorney.